Our tour stops each night to bed down in the Gobi Desert. Our driver, along with other tours' drivers get together for an evening of booze and laughs. 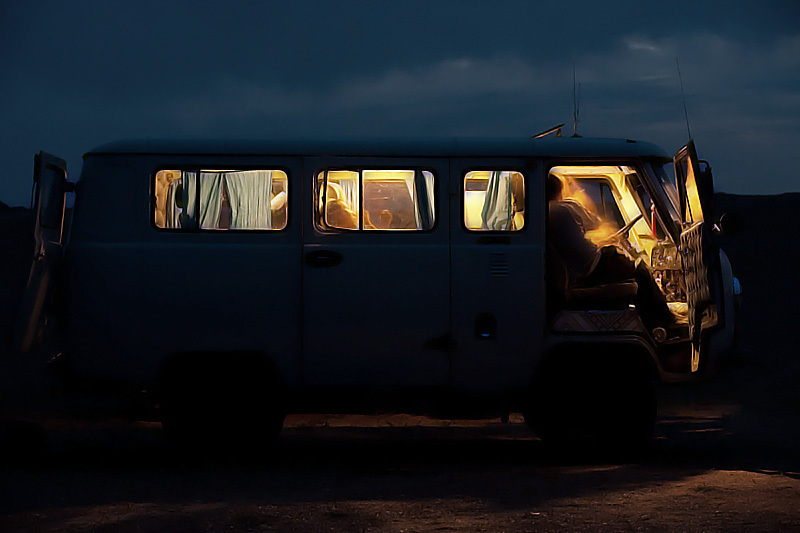 The vehicle is called a Jaman Yos, a Soviet era van known for its robustness and ease to maintain.